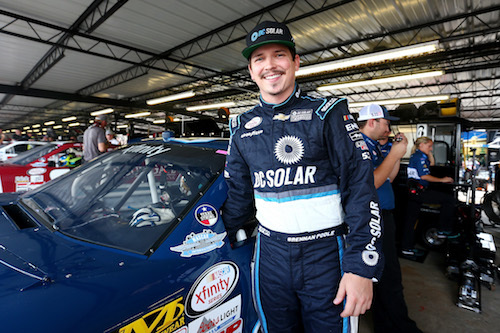 Brennan Poole is returning to full-time NASCAR competition this year. On Point Motorsports announced Monday that Poole will drive the No. 30 Toyota for the team in the NASCAR Gander Outdoors Truck Series. Poole made two starts in the Truck Series last year for NextGen Motorsports, posting a best finish of 15th at Texas Motor Speedway. In all, he has three-career Truck Series starts, the other coming in 2015. Poole last competed full-time in NASCAR in 2017, running full-time in the NASCAR Xfinity Series in 2016 and 2017 for Chip Ganassi Racing. He also ran a partial schedule in the Xfinity Series for the now-defunct HScott Motorsports in 2015. In 83-career Xfinity Series races, Poole has eight top-fives and 36 top-10 finishes. On Point Motorsports still is a new team to the Truck Series, with five series starts with three different drivers to its credit in 2018.